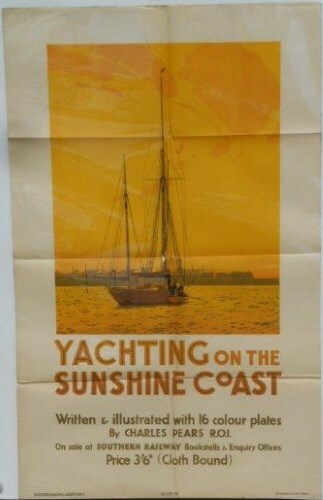 Lot 95 D/R Poster 1932, Southern Railway "Yachting on the Sunshine Coast" by Charles Pears. A sunset-yellow view of a yacht with a train in the background, advertising an SR booklet with the same title. Good folded condition.